Is this a line from a horror movie? No. 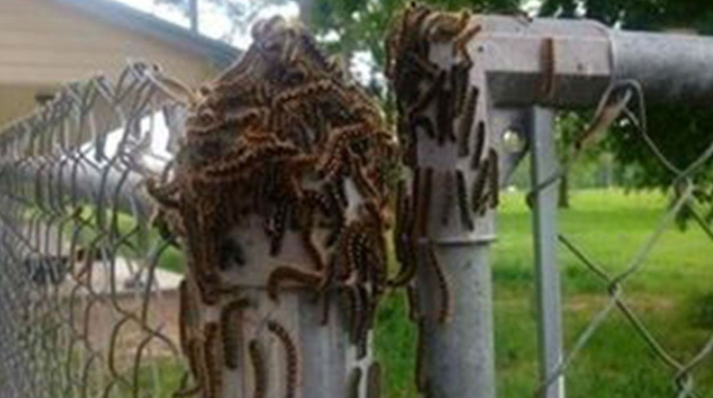 It’s Texas, where caterpillars have taken over a town called Liberty. Texans are always so sure God is on their side, and this may be a clue that no. God is not. While the caterpillar infestation is hurting the local trees, apparently it’s NBD and the caterpillars will go away on their own after a harsh winter. Does this mean Liberty, Texas is stuck with these creepy creatures until next year? Based upon the way they vote, I certainly hope so. 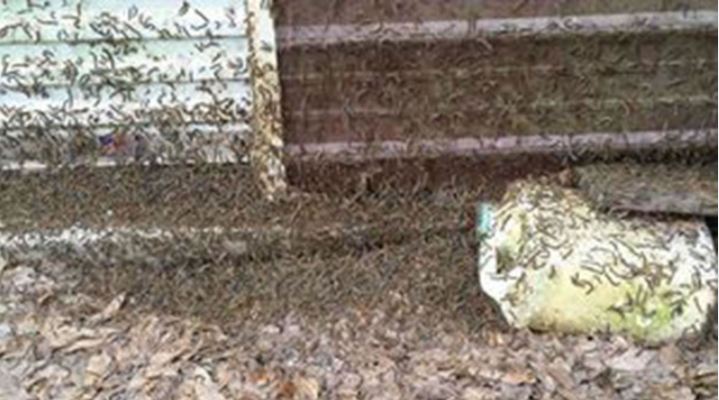 There are so many “tent caterpillars” that the electricity went out. They took out the electricity, you guys! You can learn all about Tent Caterpillars here. How the townspeople have yet to burn and cleanse the city is beyond me. It’s also possible to scare tent caterpillars. Because that’s what an animal just minding it’s own business deserves! Read more at the Cleveland Advocate and ABC News.